Rebel XS and the Nikon D60. These two cameras represent the least expensive models from each manufacturer. 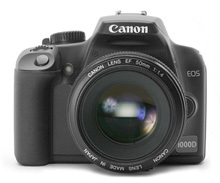 Coming hot on the heels of the Rebel XSi, Canon continues their confusing Rebel naming (at least in the U.S.). In order of appearance, there was the original Rebel, then the Rebel XT, Rebel XTi, Rebel XSi and now Rebel XS. Each step saw the resolution and screen size increase until the XS which has the same resolution and screen as the XTi. Confused yet? Call us and we can help make sense of it all. The new Rebel XS can be thought of as the Rebel XSi's little brother. The camera dimensions and weights are almost identical. The main differences are the LCD screen (2.5" vs. 3.0") and resolution (10MP vs. 12MP). If you don't mind a slightly smaller screen, you can save a few bucks and still get great photos. The Rebel XS is currently only being shipped in a kit that includes an 18-55mm IS (image stabilized) recreational lens. We expect the XS to be available without the recreational kit lens shortly. We first talked about the Nikon D60 in the April newsletter and at that time, the camera was only available in "kit" form (with the 18-55mm zoom lens). 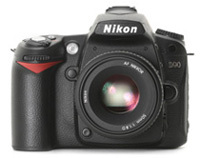 Nikon is now shipping the D60 as a body only. More info on the D60 can be found here. Coming soon! Nikon and Canon will be introducing new mid-range models shortly. As we are now well beyond the megapixel race of years past, it is interesting to see what new features the manufacturers come up with to try and beat their competition. 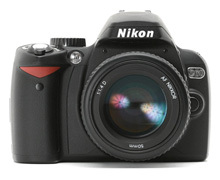 Nikon announced the new D90 which became the first digital SLR camera to capture HD video clips. It won't replace your camcorder yet, but it signals where cameras are headed over the next few years. Expect a merging of HD camcorders and high resolution digital SLRs. The D90 is a 12.3 megapixel camera. Update: Just as this newsletter was being finished, the first D90s started arriving. We will have more information about the D90 in the next newsletter. 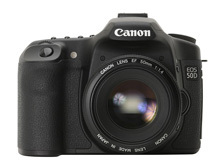 Canon continued their popular xxD-series with the 50D. Resolution jumps to 15 megapixel and Canon finally catches up to Nikon on LCD screen resolution. Also includes and HDMI output for playback on HD televisions (the Nikon D300 also has this feature). Purchase a Canon 40D camera and a Canon EF 70-300 f/4-5.6 IS USM lens (together on the same invoice) and save $150 instantly. Purchase a Canon Rebel XSi camera and a Canon EF 75-300 f/4-5.6 III lens (together on the same invoice) and save $100 instantly. Call us at 800-998-7765 for more information. 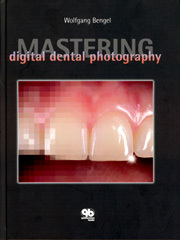 Through Oct. 15th, you can add some of our dental photography books to your library and save! Purchase any three or more and receive 10% off each book. You can get more info about all of our photography books here. First, we are in Seattle at the AAP Annual Meeting, Sept. 7-9. We will be in booth #1009. Then, we head to San Francisco for the CDA Fall Session, Sept. 12-14. Come see us in booth #722. Finally, we head back to Seattle for the AAOMS Annual Meeting, Sept. 18-20 - booth #949.